Closets are a place that reveal who we are and who we were. I’m always fascinated by the stories my clients share with me when we are clearing the closet clutter. Clothes can bring back memories, some good and some bad. Two questions I’m often asked are, “what if they come back in style and what if I lose weight”. I’ve thought about the reasoning behind these questions. Yes, things do go in and out of style through the years, but even if it comes back it won’t be the same style, fabric or color. If you haven’t worn it since it was originally popular let it go. Weight also plays a big role on why people keep clothes that don’t fit anymore. Looking in your closet everyday staring at clothes you can no longer wear can affect your self esteem. Keep one thing that you love as inspiration, but let the rest go. What is the reason you just can’t let go of those never worn clothes? Is it regret? Guilt? These emotions keep you from moving forward, even in your closet. 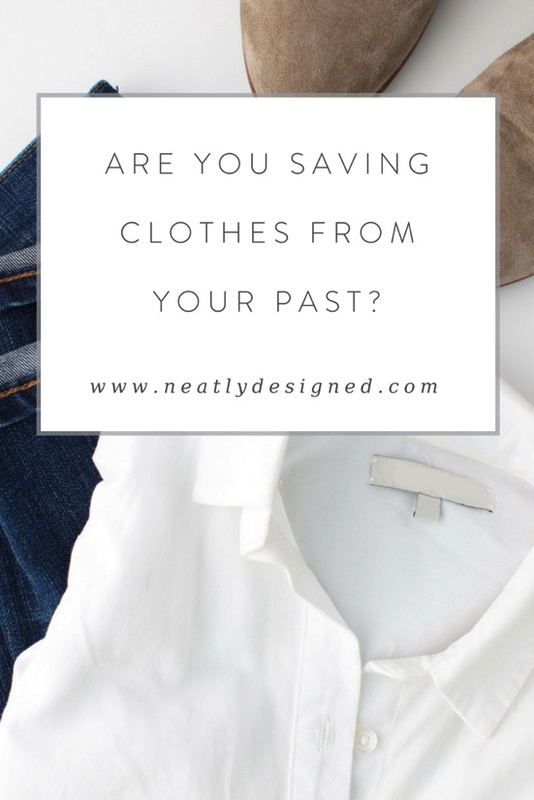 Are you finally ready to say goodbye to the never worn clothes that are taking up valuable space in your closet? 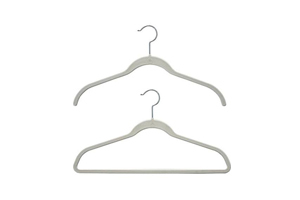 These are five tips to purge the past and bring your wardrobe into the present. 1. Make your fashion choices about who you are now and where you are in your life. 2. 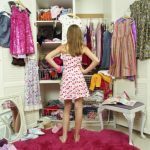 Do not keep anything in your closet that makes you feel bad when you put it on. 3. Just because it cost a lot of money does not mean you should keep it. 4. If it’s uncomfortable get rid of it because you won’t wear it. 5. Give yourself a few minutes to grieve over the mini skirt you use to wear or the four inch stillettos and then let them go. It may be difficult to begin but when you have cleared the past from your closet it will leave you with only the things you love in the present. Remember, even if your size hasn’t changed through the years, you maybe at a different time in your life and ready for a change. The new you is just waiting to be discovered!